The night was always Abby Whitman’s enemy. As a young girl she walked in her sleep, and one night, she started a fire that scarred her sister for life and left Abby with unbearable guilt . . . and a loneliness that echoes within her. Now Abby has begun blacking out again–with apparently fatal results. A car accident has killed the son of a prominent family. Even though the evidence seems to exonerate her, Abby is plagued by doubts–and soon by mysterious threats. Psychiatrist Dr. Jason Coble is intrigued by Abby and offers to help her explore the dark recesses of her mind. 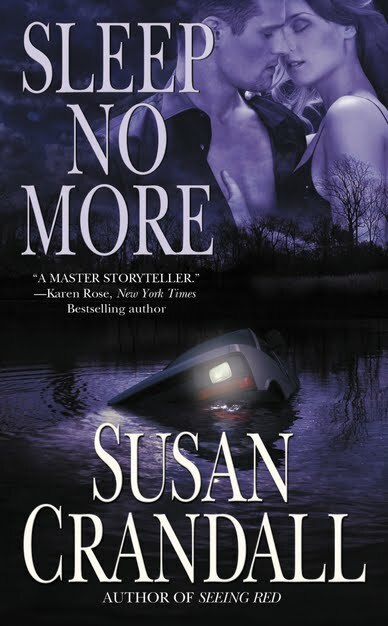 This was the second book I had read by Susan Crandall. I enjoyed Seeing Red so I was looking forward to reading her new book. I found it started out a bit slow but picked up after Abby’s accident. I liked the suspense and how I didn’t know who was responsible for the danger Abby was facing. However, I was disappointed when I did eventually find out at the end of the book and was left wondering about a few things and still not really understanding what the motives were. The reasons given seemed a bit “off” to me. The best part of the book was the relationship between Jason and Abby. I enjoyed reading about their interactions and I liked both characters. Overall, this wasn’t a favourite book of mine, but I did like enough and look forward to reading more of Susan Crandall’s novels.